Gamification is making the learning experience more fun and engaging for students, says Instructure’s Melissa Loble. Game-based learning – or “gamification” – Is defined as “the use of game thinking and game mechanics in non-game contexts to engage users in solving problems”. Recognising the growing role and influence that this phenomenon is having in classrooms around the world, software company Instructure is now providing free courses for teachers to demonstrate just how much easier this can make teachers’ – and students’ – lives in the classroom. Melissa Loble, vice-president of partners and programs at Instructure, explained how gamification can play an important role in engaging young children at school. “There are some key elements to games like being challenged and having a leader board that kids really like and find engaging,” Loble told The Educator. In an example of how schools abroad are harnessing the educational benefits of game-based learning, an adaptation of the popular game Minecraft –called MinecraftEdu - will soon be given to secondary schools in Northern Ireland as part of a project organised by the annual CultureTECH festival. The game has been widely recognised for its educational potential, offering students a compelling way of learning about architecture, agriculture and renewable resources. In 2013, one Swedish school made the game a compulsory part of its curriculum. Loble said that the availability of gamification through Instructure’s user-friendly Learning Management System, Canvas, means that it can be delivered both easily and flexibly by schools. “We make our software intuitive and really easy to use so that teachers can use gamification in a way that students can enjoy it without being caught up in the technology itself,” Loble said, adding that free courses are currently being offered through Instructure’s Canvas network. The feedback from teachers and students who have used the program has been positive, Loble said. “We’ve actually received really great feedback from teachers and students. Teachers really like that their students are more inclined to do all of the work and spend time to really focus on the classes. Loble said that younger students are comfortable with “fairly complex” game-based learning because the technology is easy to use. 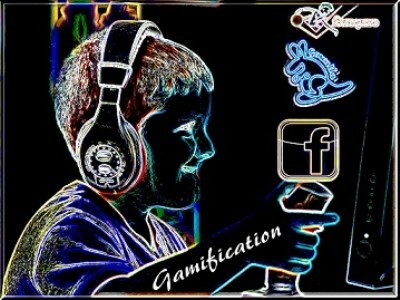 As for the future of gamification in schools, Loble has high hopes. “I think it can have a great future,” Loble said, adding that the broad educational benefits which gamification offers deserve greater discussion among educators.